New York Giants rookie Odell Beckham Jr. made the most incredible catch of the NFL season in Sunday night’s 31-28 loss to the Cowboys, stretching backward to pick a ball out of the air with three fingers and score a 43-yard touchdown. 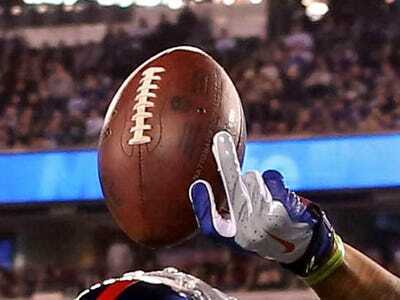 Many in the NFL world — including SI’s Peter King — are calling it the best catch they have ever seen. It’s the type of catch that elicits the same mystified response from anyone watching it live: How did he do that? The first reason is genetic. The second reason comes down to work ethic. Beckham has enormous hands, even for an NFL player. At the NFL combine his hands measured 10.0 inches long. 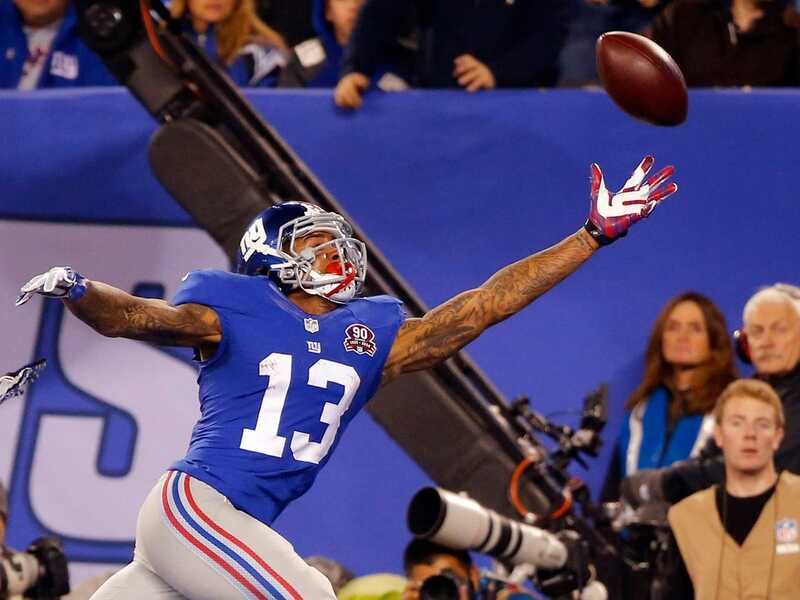 Of the 48 wide receivers at the combine, Beckham had the fifth-largest hands, despite the fact that he was one of the shorter wide receivers there at 5 feet, 11 inches. He has bigger hands than Martavis Bryant of the Steelers (who is 6-foot-4) and Mike Evans of the Buccaneers (6-foot-5). I guess I’ve got to thank my mum for the long fingers. Her hands are maybe a half-inch shorter than mine. I know I felt [the ball] it in those two fingers and I tried my best to pull it in. Merely having enormous hands doesn’t mean you can just go out and pull in NFL passes with three fingers. 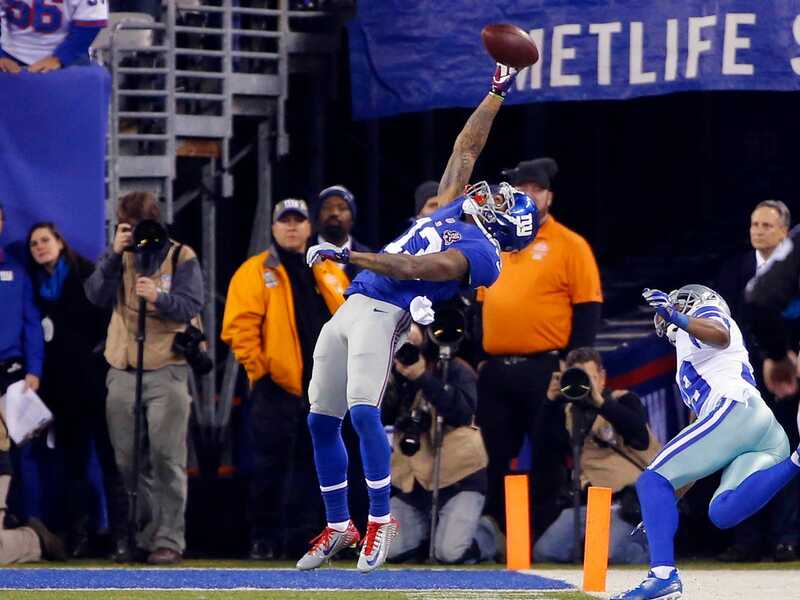 Beckham is known for practicing this sort of catch.